Bookqueue for Windows has been updated to allow changing sort directions based on primary view (Author, Title, Publication Date). Also, the book tile will include the publication date for visual cue to the Date sort direction. 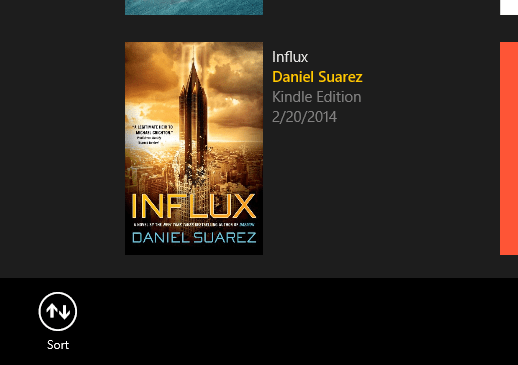 Bookqueue for Windows Phone v3.2 is now available in the Windows Phone Store. 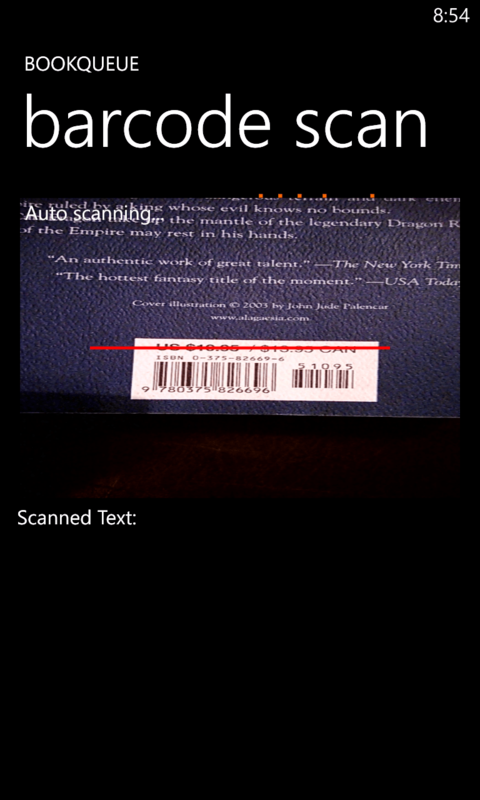 This version adds barcode scanning support from the Find Book page. Once on the barcode scanning page, place the camera view finder over the barcode and the application will auto-scan the barcode. Note: the search filter format (Hardcover, Paperback, Kindle, etc.) will be ignored when using the barcode scanner in order to find the correct book (Hardcover/Paperback). I may be adding support for changing formats of queued books at a later time. This would allow scanning a paperback but queue the book in a Kindle format. Credits: Barcode scanning made possible with ZXing.Net library.